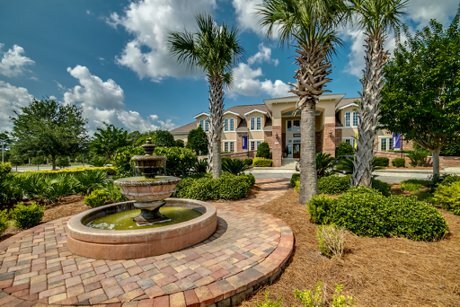 Carillon at Tuscany is one of the only adult (55+) communities in Myrtle Beach. This gated community allows residents an active lifestyle offering a beautiful clubhouse with a spacious sunporch overlooking the oversized pool, a 2000 square foot state of the art fitness center, a game room with billiards table, darts, card tables, and movie theatre, asphalt tennis courts, ten miles of wilderness trails for walking, biking, and jogging, and a forty acre fully stocked lake. 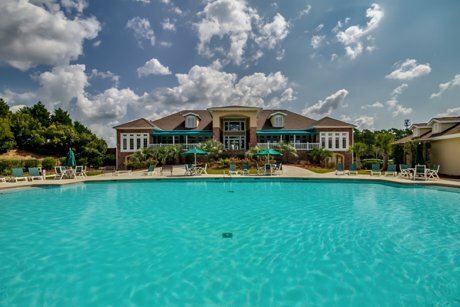 This DR Horton community is situated in a prime lacation just minutes from the beach, Coastal Grand Mall, Myrtle Beach International Airport, Tanger Outlet Shops, and everything else the Grand Strand has to offer. Homes in Carillon at Tuscany provide spacious, open floorplans along with first floor master suites for you and any visiting family to enjoy. For additional information about homes for sale in Carillon at Tuscany or selling a home in Carillon at Tuscany contact us today! 843-424-6900 or email us. Also be sure to check out Seasons at Prince Creek and Myrtle Trace Grande which are also very popular 55+ communities in the area.